The past seven days have seen more massive price hikes for the gas and electricity customers of Scottish and Southern Energy. Add to the rises already announced by Scottish Power and it’s abundantly clear that most people in Scotland will have seen rises of around 12 per cent for electricity and 18 per cent for gas. All apparently due to increases in the ‘wholesale cost of energy’. Early estimates indicate that up to one million people in Scotland will now find themselves in fuel poverty as a result. Clearly, in an energy rich nation like Scotland, this is a scandal that politicians must tackle. With immediate effect. The fact is, we have long since said good bye to a key element of security of energy supply. Only SSE remain a British Company, with the other ‘Big Six’ being owned mostly by other European interests. This wouldn’t be a problem in itself if major investment wasn’t required in our creaking grid infrastructure or our elderly power stations. But it becomes a problem when we are considering longer term solutions and such companies are unwilling to take risks with shareholder capital. Given the volatility in the gas and oil markets, and the fact that fossil fuel prices are so heavily dependent on OPEC oil production and middle eastern stability , surely now is the time to be considering a complete break from Oil, Gas and Coal? Bold statements in the past from the First Minister have left many in the energy industry baffled. On the one hand, investment in more drilling in Scottish Waters is very important to Scotland (remember how that tax hike would hurt Scottish Jobs? ), but on the other hand, our climate change policies demand considerable reductions in the use of fossil fuels. If the latter is the case, what’s the oil for then? What’s stopping us moving at full speed to a Denmark style energy infrastructure? Scotland does have major opportunities when we consider renewables. During the Scottish Parliament election campaign, even Iain Gray paid tribute to the work of the First Minister in talking up Scotland’s prospects as a ‘Renewables Powerhouse.’ It is correct that we do have the greatest wind and wave potential in Europe. However, at the same time as Mr Salmond is telling everyone about this, he seems perfectly ok with the Scottish Government approving plans for new coal and gas stations, further compounding problems associated with the wholesale energy market and making the chances of Scotland meeting ‘The most ambitious CO2 reduction targets in the world,’ seem rather unlikely. In the past year, energy consumption in the UK has risen by 18%, when it should have been falling. So as energy demand rises, and prices rise year on year, the fuel poverty problem isn’t going to go away. With current policies it’s only going to get worse. A 50% cut in the fuel poverty budget sends a message that the SNP Government in Scotland doesn’t take this problem seriously. Whilst this isn’t entirely fair and there has been much to commend them on, the fact remains that we are digging an ever greater hole for ourselves through a lack of consistency in policy. The UK Government also has to shoulder some of the blame. Interference with Feed in Tariffs and the Renewable Heat Incentive have created market instability. Suspicion is now rife that the support mechanisms for renewable investment will be altered by Ministers on a whim. As risk is the most important factor when considering putting solar panels on a house, right up to building a wind farm: anything that increases the risk factor is taking us in entirely the wrong direction. It is this risk factor that will make the ‘Renewables Revolution’ stumble, and very possibly fail altogether. In the Renewables Industry and amongst some academics, a view is forming that eventually the risk will become so great that Government’s will have no option but to intervene and become electricity generators themselves. Of course, by any other name, this is Nationalisation. Electricity is simply too important a resource to trust to a cartel of French, German and Spanish power companies. In my opinion, these companies are failing ordinary people in Scotland and eventually politicians will have to grapple with the consequences. I know that there are many on the Left who would support at least the partial re-nationalisation of our utility companies. It would be interesting to find out if our SNP Government would be willing to be so bold, or as radical, in the interests of the Scottish People? 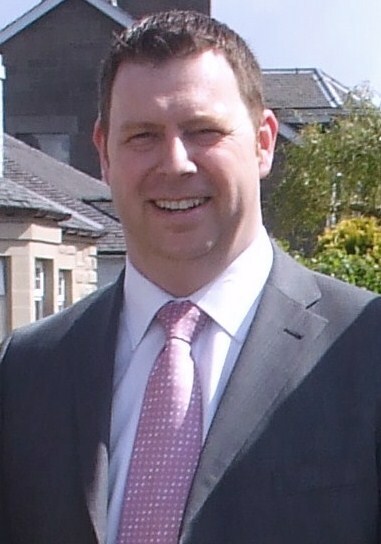 Jamie Glackin is a member of Labour’s Scottish Executive Committee. He drinks far too much coffee. Follow Jamie on Twitter at @Jamie4Labour. It’s amusing to hear a unionist use the expression “energy rich nation like Scotland”, perhaps there is some hope after all. Unfortunately like so many other important issues for Scotland, energy is a reserved matter to Westminster at the moment, and there’s no sign of it being devolved in the Scotland Bill. The Scottish Parliament only has limited powers in this area on planning issues and some minor aspects of renewable energy. Before the SNP or any other party in the Scottish Parliament could even think about re-nationalising utility companies, the power to do so would have to be given to the Scottish Parliament. Can I ask if you have ever actually read the Scotland Act? Are you aware how very limited the powers of the Scottish Government are when it comes to energy? To be sure the Scottish Government has made the most of the powers available to it – as did the Lab/Lin Exec before the SNP were elected – but nonetheless those powers are extremely limited which you do not seem to recognise. I am aware that Energy is a reserved power. However, there is still a lot of scope for the Scottish Government to work round that, especially with regards to planning, fuel poverty and energy efficiency matters. There is almost certainly scope for the SNP Government to do more, but I wonder if the ‘closeness’ between the First Minister and our utilities might be affecting his judgement? Have you any evidence for your assumption about the first minister? Or is it just another smear attempt? I don’t know what you mean by that. The FM has certainly worked very hard at promoting the renewables sector and taking up the cudgels against barriers to success, like the electricity transmision charging system that penalises against generators in the north of Scotland. If he didnlt work closely with the industry it is highly unlikely that we would now be in the position that we are win. You will be aware that 25% of all of Europe’s wind energy crosses the seas around Scotland. To harness that – and be in the position to export it to the continent as well as down south – needs big investment that will mainly have to come from the private sector. How about the idea that an independent Scotland will be built on the fossil fuels coming out of the North Sea? The price of which is putting up the cost of our electricity and gas? Or the “dash for turbines” which require a subsidy, that at the moment is spread amongst the 30 million UK households, but will in an independent Scotland be spread amongst Scotlands 3 million? So what you are saying is that because the increasing price of fossil fuels is putting up the cost of electricity and gas we should unilaterally stop extracting oil – thus foregoing all of the increasing oil revenues – in order to erm do what? Yet again you (deliberately?) misunderstand what I said. A future independent Scottish Government would have conflicting drivers – on the one hand it would want the oil price to rise (or stay high) for its own finances, while on the other hand it would want the oil price to be low, in order to reduce fuel poverty. Good article. It’s a shame Labour didn’t do much about this before the election. Some good points here Jamie… You’re spot on about market instability discouraging investment. All the coalition have confirmed is they’re getting rid of the renewables obligation, but not bottomed out details for its replacement. There’s still a lot of work to be done to the Electricity Market Reform white paper. But you know better than all of us how much expensive renewable electricity generation is than fossil fuels. So, who’s going to be bold and sell that to the consumer? This is all very well and good, but there is someone missing from the discussions above, someone Labour would do well to listen too. It is the consumer who has borne the brunt of the last bout of price increases and it is the consumer who has not seen energy prices fall when the wholesale price fell at the the start of 2008. Yet all we have is the platitudes from all sides about how shocking it is that energy prices are going up, at the same time as politicians from all parties sit on their hands and refuse to help the consumer. That is not really fair. The current situation is a direct result of the privatisation of the public utility companies. Politicians were certainly responsible for that – but not politicians from the Labour Party or indeed the SNP. If Scottish politicains could go back in time and stop the privatisation of the public utility companies then of course they would. But they can’t. What is done is done and everybody is living with the consequences. The irony is of course that the utilities were sold off in the first place in the name of consumer choice – and no doubt there are still some free marketeers out there who continue to believe such nonsense and want to apply the same failed policy to Scottish Water. But enough of the Lib Dems. I think what Jamie is arguing for is direct government investment in the industry, which would bring with it a degree of control over pricing etc. I don’t think anyone would disagree with that in principle, it is finding the funding that is the issue. Because it would require some serious money. Perhaps we could look at future borrowing powers or bond issue but I don’t think it will be easy when there are so many other competing demands. Its actually more complex than that. Its not so much the privatisation process itself which has caused this, its really the splitting of generation from supply. Generators now sell their electricity at wholesale prices in a market driven by the price of Oil and gas. Suppliers have to buy that electricity at whatever rate the market has set. While even those suppliers who are also generators (eg SSE) sell their electricity at that rate, as otherwise they would be short changing their shareholders, this is such a small part of the market it is not the main driver to utility prices. The thing is, an independent Scotland financial status will be highly dependent on the price of Oil, and a future Scottish Government could well be happy to see that price rise, and remain high – however that will have a massive impact on the cost of electricity and gas. It is the privatisation process, in the sense that because it is all in the private sector the government has no control over pricing As far as I can tell there is simply no way that government could intervene – even if it wanted to – to bring prices down. No, a government owned electricity supplier (lets call it Caledonian Energy) would have to buy its electricity on the wholesale market. That market is dependent on the Oil price, and its fluctuations. If Caledonian Energy were to maintain utility prices despite the rising cost of energy, it would require subsidy. Where would that come from? We are talking billions of pounds a year. True. However consumer choice and the creation of “a shareholder society” were the public reasons for the privatisations. The real reasons had more to do with Thatcherite distaste at the size of the state. Yes, a share owning property owning democracy. That’s worked out well. OK so you are saying that there is no point then in even partly renationalising the utility companies? Partly. What is really needed is a revision of the wholesale energy market, and that can only be done on a european level. And bear in mind that there are players on that market (very substantial ones such as Gazprom, the Russian state (well effectively) gas company) which may not want those reforms. Ukraine and Belrus have both discovered what happens when you have a disagreement with Gazprom. There is another point I would like clarification on because there are clearly people posting here who know a lot about this issue (which I don’t). I’ve always been under the impression that the UK Government can’t intervene and cap energy price increases. I am not sure where I picked that up from. Yet it appears the French Government can and so can governments in Eastern Europe apparently. So what is the position? Could the UK Government pass legislation allowing it to set a cap on price rises? Because if that is possible surely that is what they should be pressed to do? Part of the issue (in at least so far as the French are concerned) is that the French nuclear industry is such a large part of their domestic energy market, that the wholesale price of that effectively determines the utility cost. Now you may argue over what subsidies it has (and whether they are legal or not under EU law), but in reality it is much cheaper to buy french nuclear energy than typical gas or coal fired electricity. It also doesnt respond to price hikes in the oil markets in the way that gas and wholesale electricity do. Its one reason why the interconnector is used so much – the UK utilities love French nuclear electricity. Theres some big long term contracts involved I believe. The french nuclear industry are licking their lips at the German withdrawl – they can see some serious profit being made out of supplying Germany with more French nuclear electricity than at present. I beleive there are plans being drawn up to increase the capacity in the transmission networks. As to why Eastern European countries can cap prices, I am less sure, however it may be something to do with the fact that these countries entered the EU with subsidised state owned utility companies, and have received a derogation during the period their markets are “opened up” to more competition. Yes but we are working towards a situation of supplying our domestic energy market from renewables which we generate ourselves – and there is work on developing a North Sea supergrid to allow us to export that as well. So we are going in the same direction as France then surely, albeit from a different generating source. The problem with renewables (and I am a great supporter of them) is they have a cost which is greater than convential power generation – and thats before you get into the argument about the need for stand by generation when the wind doesnt blow. They are only competitive now because of a large subsidy, which if you were to move towards 100% renewable generation, would result in increased fuel bills – the very thing we are trying to stop. Yes they do now but surely the cost will come down over time as the infrastructure is established? Looking at it broadly we are in a transiton phase now moving away from fossil fuels to renewables. There obviously is a cost to that – and presumably a fair proportion of the profits made by the energy companies are being reinvested in renewables. But long term renewable energy will surely be cheaper as it is, well, renewable. And it does not have the risks associated with nuclear and the cost of decommissioning and dealing with the waste. But equally everyone agrees that the level of price rises that people are experiencing now are just unmanageable. The thrust of the argument that Jamie is making seems to be that volatility in the market may mean that governments have to become more involved in generating electricity – partial renationalisation as he says. I don’t see how your argument fits into that though. My argument is that it would be very difficult for a single government to do very much about it. Its really a europe wide issue. The alternative is a massive investment in a (relatively) low cost, low carbon generation system. Or to deal with fuel poverty as a social problem and factor it in to benefit calculations. Technically, the cost wont come down – what has happened historically is that other things have risen to make it appear cheaper (ie wages and other prices have risen faster). The cost of renewables is always going to be high – at least in the way its currently being delivered. There is actully little technical scope for wind turbines to be reduced in cost – whether onshore or offshore. What has come down in cost – and is continuing to come down – is Solar PV. But the Feed-In tarrif scheme for that has just been scaled back, and micro generation is going to be a bit player in the Uk, unlike Germany. I have to declare a conflict of interest, and the source for some of my “inside information” – my sister works for EDF. However, on the plus side, my job is to reduce energy consumption. At least she doesnt hold it against me! Maybe you could find out how they calculate their CO2 emissions as they appear awfully low considering the fuel cycle plus external constant power supply. Could you be a bit clearer? Do you mean EDF? Or do you mean nuclear power stations? Bear in mind that all electricity in the UK is rated at grid average, which has just been revised down to take account of the amount coming in from the French inter-connector. Anyways, we now measure according the CRC emissions factors, since thats whats used to calculate how much we have to pay for our carbon allowances. The claim of the nuclear industry that nuclear power emits low levels of CO2 and other greenhouse gases is not based on scientifically verifiable evidence. Emissions of greenhouse gases other than CO2, often with Global Warming Potentials many thousands of times larger than carbon dioxide, by nuclear power never have been investigated and/or published. Absence of data definitely does not mean absence of greenhouse gas emissions. Not sure where that study came from – its not one I am familiar with, but I can tell you that the electricity generated does include all 6 GHGs, expressed as CO2 equivalent, as it does for all forms of generation. Whenever you see something expressed as kg CO2/kWh, it really means kg CO2(e)/kWh. If the nuclear industry has not done the number crunching how can they claim to be a low carbon emitter when any numbers that have been worked out counter their argument. The source for that paper is Nuclear power – the energy balance which was linked too in the Oxford document. I can only comment on what has been published, ie that electricity produced from nuclear power has a CO2(e) factor, which includes the emissions from all 6 GHGs. Take it up with DECC – thats who produces the figures everyone uses. Yes but as I said we are going through a transition period and renewables does not simply equal wind turbines. No, it doesnt. However, the current plan (if it can be described as such) for delivering the 100% target is wind turbines, with a bit of PV thrown in. Hydro barely gets a passing mention. We will need a few more Glendoe’s – and that wasnt built overnight. Where are the plans for similar schemes, so that they can come on-line in 2018, 2019 and 2020? They need to be made now, and they arnt. Where is the instruction from SG to all councils to use prudential borrowing to install Solar PV on the roof of all council houses? This would a) pay back using feed-in-tarrifs [the individual schemes would be small enough to qualify for Fit and pay back within 10 years and DO qualify for PWLB], b) reduce fuel poverty amongst council tenants who would benefit from the free electricity and c) boost employment across Scotland. Such a project would be massive enough that it could even attract a company to begin manufacturing the things in Scotland – creating even more jobs. No, all we hear about are wind turbines – off shore and onshore. Now, I’m not saying we shouldnt have them – we should indeed have more than we currently do – but they arnt going to solve the problem on their own. Their cost are less liable to come down as a big proportion is civil engineering costs (they’re only going to go up) and a chunk of the rest is the cost of a massive gearbox. You might get some reduction in cost of mass production, but not as much as you would think. Eh? Maybe this is an east-west divide here – there are no council houses in Glasgow any more John or anywhere else that the stock was transferred – and even if there were what do you think the reaction of councils to such an “instruction” would be? It would be give us the money to do it or eff off. Also I think if you go on the SG website it is not all about wind turbines. Well, Angus currently has approx 8,000 council properties (although with many of them being flats, thats not 8000 roofs! ), and I know that other neighbouring authorities still have. And why should it be restricted to council houses? Why shouldnt a council, in partnership with a housing association, borrow money to fit a pv panel, using the FiT to repay the borrowing whilst giving the tenant free electricity to solve fuel poverty? And as I said, its not about being given the money – the ability is there for local authorities to use the Public Works Loan Board to have prudential borrowing. At very competitive rates. And with a guaranteed income to repay the borrowing, it satisfies all the requirements. The reaction of the councils to such an instruction would be telling – perhaps something similar to their reaction on being told to freeze the council tax? They all complained, but they all did it. The beauty of this plan though, is that it doesnt cost a thing. The FiT pays back the borrowing! What is needed is some leadership. Care to point me in the direction of the plan for meeting that renewable target in 2020? I cant seem to find it on the SG website. I certainly dont recall it dropping into my inbox, either. If we are serious in meeting it, we need a plan NOW. Warm words about “carbon capture and storage” aint going to cut it. Not saying it is a bad idea I was just a bit taken aback at the idea of the SG instructing councils to do X, Y or Z. And they certainly couldn’t do it with housing associations. So you think the SG shouldnt instruct councils what to do? Care to let them set their own council tax? « Should California secede from the USA?